The WIC program provides supplemental foods, health care referrals and nutrition education for low-income women who are pregnant, breastfeeding and postpartum, as well as to infants and children up to age 5 who are found to be at nutritional risk. OneWorld employs a staff of professionals to help you with your WIC needs. Our team includes registered dietitians and nutritionists who specialize in prenatal and intra-conceptual nutrition; breastfeeding nutrition and support; and the prevention of childhood obesity. 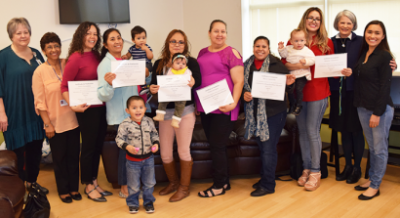 All WIC team members are bilingual in Spanish and English, and interpretation services are provided for other languages, and American Sign Language. For more information about WIC eligibility, services or how to apply, call OneWorld at (402) 734-2028, or click here. OneWorld is proud to offer breastfeeding classes. 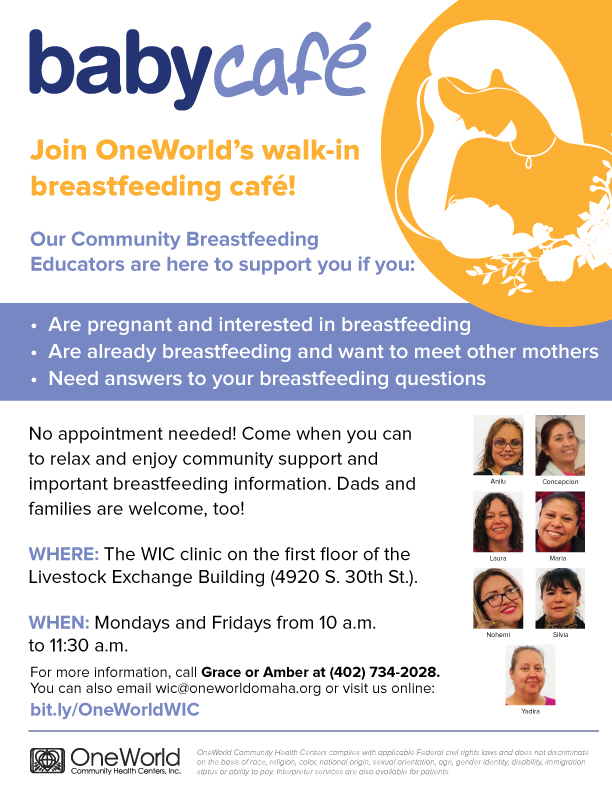 Join OneWorld’s walk-in breastfeeding café! No appointment is needed to join the support group! Come when you can to relax and enjoy community support and important breastfeeding information. Dads and families are welcome, too! Classes take place in the WIC clinic on the first floor of the Livestock Exchange Building (4920 S. 30th St.) every Monday and Friday from 10 a.m. to 11:30 a.m. For more information, call Grace or Amber at (402) 734-2028. 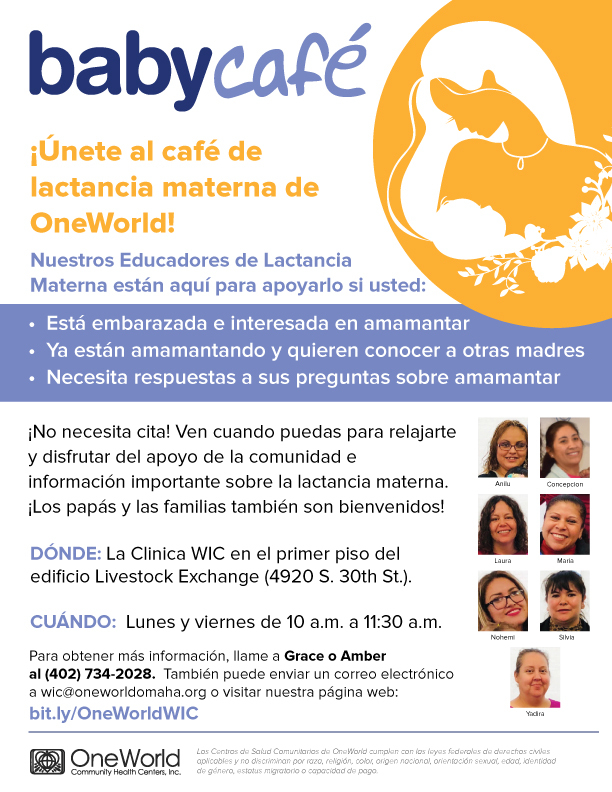 You can also email wic@oneworldomaha.org. Click here for more information in English. Click here for more information in Spanish. 9:15 a.m. – 6 p.m.